Another big thanks to Tim, who slipped me a sample of the Ardbeg Alligator (the Ardbeg Committee release) a few weeks ago. Now that everyone’s talking about the public release of Alligator this week, I thought I’d post my tasting notes. I don’t believe there’s any difference inside the bottle between the Committee release and the public one. 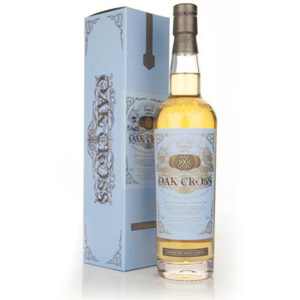 The name of this limited edition is a play on the term used to describe the heaviest possible charring on the inside of barrels used for whisk(e)y maturation. When the inside wood of the barrel is blackened to this point, it begins to look like the scaly skin of an alligator. Ardbeg’s Alligator is a no-age-statement experimental malt, bottled at 51.2% ABV, after a full 10 year maturation in new American oak barrels that had received the alligator char treatment. This ‘alligator’ malt was then vatted with an undisclosed quantity of the standard 10 year and married for an additional year. That makes it approximately 11 years old. 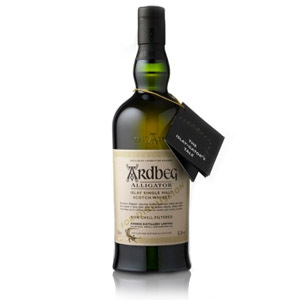 Nose: Full-on Ardbeg peat, with overtones of charcoal briquette, dry hay, a bit of sweetness like barbecue sauce. There’s also vanilla in spades after a rest in the glass. Palate: Fiery, with big wood notes of smoking chips, cinnamon bark, charred glaze on barbeque pork. A little bourbony. The higher ABV shines forth, upping the ante both in mouth-burn and flavor concentration. Finish: Long, with lots of earthy peat and dry moss. The dryness of the peat alternates with the sweetness of the wood for control. A hint of bitterness (wet charcoal) at the tail end. Just when I think it’s over, there’s an intriguing chocolate-mint note. Overall: An interesting take on the Ardbeg profile, with a lot more sweet woodiness and big roasted barrel flavors. 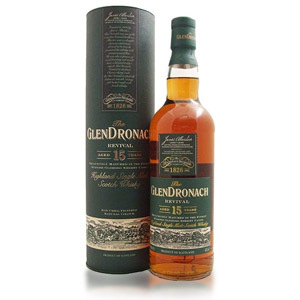 Reminds me a bit of the Laphroaig Quarter-Cask, but with a bigger bite and a more round, robust Ardbeg peat. I’m not sure the difference is big enough to warrant owning this over the standard 10 year, especially at a whopping $120. It does taste like an “ultimate” bourbon-finished Islay, if that’s your thing, with the peat taking second billing to the cask. I guess that means the “experiment” of alligator-charring the barrels was a success, although the final product is not nuanced or impressive enough for me to recommend paying the above-average price. 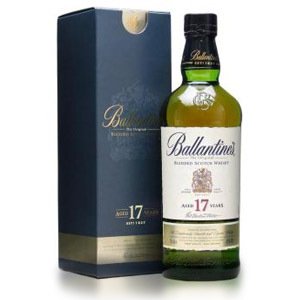 Although this is quite good whisky, and innovation in Scotch is always to be applauded, it just didn’t move me to buy a bottle. Given the sellout run on these bottles, I guess that puts me in the minority. 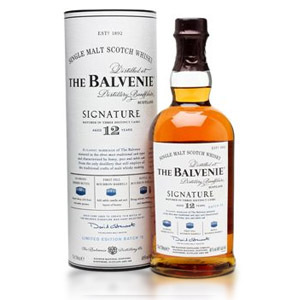 Water: While leaving the nose unchanged, a few dashes of water amplify the peat on the tongue, bringing a bright acidity and sour cherry notes. Reveals more bitterness in the finish. It’s worth experimenting with the water, but don’t dilute a whole glass. My girlfriend and I came home with a bottle of this last night. She won it in a raffle that was held at the tasting we attended. Whee! We got to taste the regular Alligator along with three other expressions, great stuff.